Around five million operations a year take place in theatres in England and Wales, and it is the single most expensive area in an Acute Trust’s budget. A small improvement in efficiency means a huge difference in the Trust’s bottom line. Fifteen years ago, the Audit Commission visited 70 trusts, analysed what they found, and published a detailed report. It highlighted the common problems encountered by operating theatre managers, and provided examples of good practice to illustrate how some trusts have overcome them. Critically, it defined a set of hugely complicated calculations that boil down to just three Key Performance Indicators that tell theatre managers and clinical directors just how well they theatre suits are performing. More recently, Redwing was tasked by Queen Elizabeth Hospital to make Theatres perform better. We were give the twin objectives of saving money and improving patient care. We studied the problem intensely. We actually embedded with the theatre clinical staff, and worked alongside theatre nurses. We wore scrubs and observed in a variety of theatre settings for a month. We did the same shifts they did, took the same breaks with them, we listened to the clinical staff and we understood their needs. We did the research. We looked at best practice worldwide. 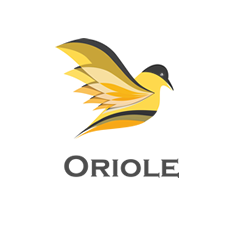 We took all of this analysis and created Oriole – Operating Room Intelligence. It fully implements all of the Audit Commission’s calculations. They’ve been subject to deep validation. They work to produce simple and easy to use KPIs. And they work automatically month in, month out. Theatre managers and Trust executives always Know How We’re Doing. A 3% improvement in theatre suite efficiency typically works out to saving at least £500,000 per year. Not only that, the ability to understand patient history meant that patient care is improved. Here’s one example: simply by knowing that the hospital had cancelled surgery for a patient on a previous occasion, then that patient could be prioritised (to avoid re-cancellation) should a list need curtailing on a future occasion. Oriole helps Trusts make theatres work better. Oriole provides the information that NHS Hospital Trusts need, to make the most efficient use of Operating Theatre resources, minimise costs, and improve patient safety. Oriole was developed in close collaboration with clinicians, senior managers, and theatre staff. It provides comprehensive analytics from the raw data in existing Operating Room systems. The availability service level for Oriole is 99.7% during standard business hours, with a mean time to recover of 4 hours. The service is provided using compute and storage technologies residing in a Tier 3 data centre. Here, the BRONZE Service Level is augmented with an additional 20 days consulting for Trust reporting customisation. Alternately, the SILVER Service Level is augmented with an additional 10 days consulting for Trust reporting customisation. For Service Level Gold, the fee is £3.95 per newly recorded Theatre Case. Provision of a ‘pizza-box’ 1U server to extract the relevant information from an on‑premise source system*, and to store it in a local SQL Server database in encrypted format, ready for transport via OData to the Redwing servers. This local database is transparently available to authorised Trust staff; read-only provision is made for Trust staff to inspect and validate the data to be transported, as required by the Trust. No data is transported except that contained within this open database. *source system means a day-to-day transactional Operating Rook Management system that runs on-site and has a database that is directly accessible by the Redwing extract system.